Yet to coat such a setback, Khamenei ordered a major missile attack against the Iranian opposition People’s Mojahedin Organization of Iran (PMOI/MEK), then stationed in a series of bases aligning the Iran-Iraq border. While the PMOI initially reported 77 missiles targeted their bases, years later former IRGC chief Rahim Safavi said the avalanche consisted of 1,000 long and medium-rangefired from Iran into Iraqi soil. From the early days of its rule Iran’s regime has been increasing economic pressure on the people, especially the lower class and most deprived. A vivid result of such practice has been the astonishing phenomenon of many Iranians willing to sell their kidneys and other organs, and even mothers pre-selling their unborn fetus. This is parallel to the growing phenomenon of child labor, a swelling number of homeless people roaming the streets and people even resorting to making homes out of graves. Tehran has a history of increasing domestic pressure and skyrocketing prices to provide for the 1980-88 Iran-Iraq War, exporting terrorism and fundamentalist across the region, and currently, the onerous finances needed to confront international sanctions and managing an economy in ruins. Iran’s regime has shown it cares less about such matters as billions are poured into various domestic and international campaigns. This includes meddling in Middle East countries, boosting its nuclear and ballistic missile drives, and launching dozens of military and security forces imposing an intense atmosphere of internal crackdown. In a recent initiative Iran’s regime seeks to increase the price of bread and medicine. A large portion of Iran’s lower class is currently deprived of a daily portion of bread. Bakeries in Iran’s poor neighborhoods are already selling bread based on monthly payments. “… the price of bread will be increased by 32 percent… the Minister of Industries spoke of decreasing government supervision over wheat and bread sales,” according to a report broadcast by state TV. Such price increases, originally 15 percent for bread, have resulted in alarming dilemmas for ordinary life. “…prices of various goods have risen significantly while annual salary increases are equal to the value of a few kilograms of fruits,” according to the Baharestaneh website. Conditions have sank to such lows that even Iran’s Revolutionary Guards (IRGC), reportedly controlling a large portion of the country’s economy and allocating billions for regional meddling, have attacked other institutes to escape from any such criticism. “The 10th parliament can be described as lacking courage, and being fluid and unpredictable. Members of parliament no longer have any sensitivity over the people’s economic woes, especially increasing poverty in our society,” according to Mashreq News, another state-run outlet in Iran. Although having concerns about ordinary Iranian’s welfare is not one of the IRGC’s strong attributes. In response, a member of Iran’s parliament, Amir Khojaeste, resorted to remarks seeking to place the blame on the government of President Hassan Rouhani. “Why have they increased bread prices by 15 percent and imposing pressure on the people? Salaries are low and the lower class are enduring enormous pains,” he said. This is the same parliament that adopted a bill providing $600 million dollars to further develop Iran’s already controversial ballistic missile program and the Quds Force, pursuing the IRGC’s extraterritorial campaigns. This includes recruiting foot-soldiers and cannon fodders, from as far as Afghanistan and Pakistan. Iran “has Basijis of the Islamic world from six countries in Syria and Iraq,” said General Mohammad Reza Yazdi, commander of the IRGC division stationed in Tehran. Tehran has been accused of allocating $30 billion annually for its support and promotion of terrorism through proxies, also including the Houthis of Yemen. Suspicion over the IRGC’s intentions have increased following remarks by senior officials seeking to expand the force’s reach. IRGC deputy chief commander Brigadier General Hossein Salami has gone as far as warning to increase the range of missiles above 2,000 kilometers to target Europe, according to wires citing the IRGC-affiliated Fars news agency. The Iranian opposition coalition National Council of Resistance of Iran (NCRI) has long exposed Tehran’s role in the region, especially in Syria. Advocating a policy of regime change in Iran, the NCRI has welcomed the IRGC terrorist designation by Washington and considers the expulsion of Iran from Syria and Iraq as necessary for the region to finally begin heading towards peace and stability. Considering Tehran’s decades of supporting terrorism and meddling in other countries’ internal affairs, this regime will continue to plunder the Iranian people to provide for its range of belligerence. The Iranian people have been suffering under such a state and a recent surge in protests are raising eyebrows and escalating concerns in Tehran. For example, following the recent earthquake that shook western Iran the lack of state support for the victims has been alarming. The earthquake inflicted damages equaling to 11 years of the targeted province’s budget, according to the Kermanshah governor. It is worth noting that Tehran’s annual support for Assad in Syria equals 150 times that of this province’s annulal budget. They say a news event has a three-day lifespan. The regime in Tehran is counting on such a theory to have the international community move on after the recent earthquake that shook western Iran. Each passing day further reveals the scope of this vast catastrophe. Experts advised the government of former Iranian president Mahmoud Ahmadinejad (2005-13) to build 25,000 homes under the Mehr blueprint. Ahmadinejad, however, ordered the construction of 1.5 million such units, raising questions of possible negligence in construction and lack of proper supervision. While the ruling regime failed to provide any first aid relief, Iranian opposition leader Maryam Rajavi made an early call asking supporters to rush to their compatriots in need. “Just as opposed to the practices of the clerical regime, now is the time to show solidarity. Assisting and saving the victims of the earthquake is a sacred national duty,” she said. The incoming statistics of this recent quake are devastating. Instead of focusing measures to rush aid for the victims, Iran’s regime imposed martial law in Sarpol-e Zahab, the epicenter of the earthquake. Was such a catastrophe preventable? Is Iran the only country prone to earthquakes? Japan has a history of earthquakes and thanks to technological advances we no longer witness skyrocketing number of casualties and damages. Australia also experienced a powerful 7.0-magnitude earthquake on Tuesday that resulted in tsunami warnings. No casualties or major damages were reported. Preventing quake damage is nothing out of the ordinary or impossible. A truly popular government allocating the necessary manpower, means and budget can do the job. Here is exactly where the problem lies in Iran. On August 13th members of the Iran’s parliament unanimously adopted a 16-article bill providing around $600 million to further develop Iran’s ballistic missile program and additionally fund the Revolutionary Guards (IRGC), especially the extraterritorial unit known as the Quds Force. Iran’s five military entities enjoy a budget of $13.5 billion for the current Persian calendar year (March 2017 to March 2018), of which $7.4 billion belongs to the IRGC. This is a 24 percent increase from the last calendar year. It is worth noting that the Iranian regime has a nearly $7 billion budget deficit, equaling to nearly half of its military budget. Proper now would be to evaluate the money sent by the Iranian regime to Lebanon. There is actually no figure of Tehran’s financial support for the Lebanese Hezbollah. While recent reports have placed this value at over $800 million, back in 2011 Al Arabiya Farsi shed further light in this regard. One such $400 million construction project in Lebanon, including parks, was paid for completely by Iran. All the while millions in Iran remain under poor living conditions. “As long as there is money in Iran, we will have money,” said Hezbollah Secretary General Hassan Nasrallah, making it crystal clear how the terrorist-designated group’s entire budget is bankrolled by Tehran. Parallel to Lebanon, Iran is known for its belligerence in Syria, Iraq, Yemen and beyond. Deprived of this budget, 40 percent of the Iranian people are living in complete poverty. 13 million homeless in city outskirt slums. 14 million literally cannot pay for their daily meals. State-affiliated websites in Iran report nearly 20,000 homes were completely destroyed in the recent quake. Whereas in Japan, simple homes made with a budget of $10,000 each, have proven to be earthquake-resistant. If we take into consideration just the abovementioned $600 million, Iran’s government could have provided 60,000 such homes for victims of the past three major quakes across the country. This includes 20,000 in Kermanshah province, the site of the recent quake designated as the most powerful in 2017 so far; another 20,000 for the victims of the 2012 East Azerbaijan quake in northeast Iran; and 20,000 more for the victims of the 2003 Bam quake that left tens of thousands of innocent people killed. This is all aside from sitting on an ocean of 125 billion barrels of oil, 227 trillion cubic meters of gas and a daily revenue of $200 million from exporting oil. The point is the solutions are out there. Iran, however, is ruled by a regime that could care less about its populace. For those sitting in Tehran, this is a recipe for disaster. For years, Iran’s nuclear program has been in the international spotlight, leading to a highly controversial and flawed global pact aimed at curbing Tehran’s nuclear ambitions. That pact, known as The Joint Comprehensive Plan of Action, hasn’t reined in Iran’s belligerence. Instead, Iran’s ballistic missile program and dangerous collaboration with North Korea have become new sources of concern for the global community, while its proxies and influence in the quagmires of Iraq, Lebanon, and Syria pose troubling threats. Iran’s Syria campaign has already caused unprecedented mayhem in the Levant, driving more than half a million to their deaths, displacing above 12 million, and leaving a country in ruins. Tehran-blessed Shiite militias are on the march in pursuit of implementing and fanning the regime’s interests. Most recently, reports indicate Iran has established missile factories in Syria, as well as in Lebanon. “Syria is building missile factories with Iranian inspiration,” ImageSat International reports. Satellite imagery show detailed views of a valley packed with buildings east of Baniyas, in an area named Wadi Jahannam—translated “Hell Valley.” The complex, which takes up several kilometers, contains buildings that resemble factories designed to manufacture surface-to-surface missiles. Other important military sites include the Port of Tartus, where Russia continues to maintain a highly valued warm water naval presence, and the Khmeimim Air Base near the city of Latakia in western Syria. The Majlis, Iran’s parliament, has just approved a $260 million budget increase for the regime’s ballistic missile program. Given Iran’s broad scope of domestic missile sites, as well as its international efforts in Lebanon, Syria, and North Korea, researching the destination of these millions of dollars is worthwhile. These new actions by Tehran are considered in line with the spawned missile buildup seen earlier in Lebanon. Iran has used its relations with its offspring, the Hezbollah, considered a linchpin in Iran’s efforts, to launch underground missile production factories in the southern parts of this already troubled country. These sensitive and highly controversial facilities, buried more than 50 meters underground to enjoy protection from aerial attacks, allow Hezbollah to procure high-tech missiles equipped with state-of-the-art guidance systems and ranging up to 500 kilometers. But Iran has far broader ambitions. The Hezbollah and Syria factories are only a chapter in its book of strategies. Reports by the Washington Free Beacon, amongst others, indicate that Iran is eyeing the Atlantic Ocean in its latest dispatching of warships. Iran’s involvement in Iraq runs deep, especially through the support it generously provides to Shiite militias, the Hashid al-Sha’bi, known to have directed numerous massacres targeting Sunnis and other disarrayed minorities. 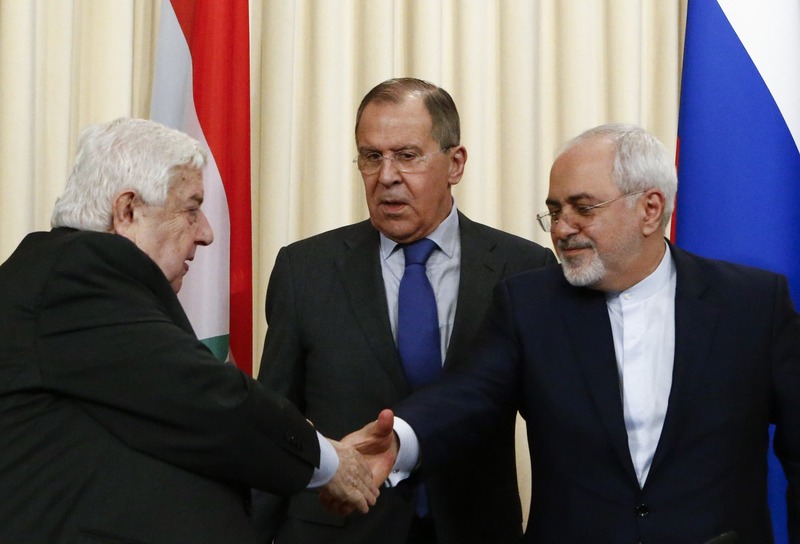 Tehran has taken advantage of the war in Syria to establish a key role in maintaining Bashar al-Assad’s power and making him completely reliant upon the clerical rulers. And thanks to Obama’s legacy-defining nuclear deal, billions of dollars are pouring into Iran to fuel and steer all this belligerence. European companies such as Airbus, Total, and Renault are taking advantage of various sanctions reliefs to begin investing in Iran. Considering the 40 percent control obtained by the Revolutionary Guards on Iran’s economy, Europeans are injecting new life into Iran’s dangerous bellicosity. Obama’s appeasement policy toward Iran only served to embolden the country’s aggressive maneuvers. State TV networks sense no need to maintain any secrecy, boasting instead about how Iranian President Hassan Rouhani’s new defense minister, Brigadier General Amir Hatami, has pledged to advance the regime’s ballistic missile capabilities. Tehran also has plans to enhance its strategic air and maritime power, and boost the capabilities and reach of its rapid reaction force. 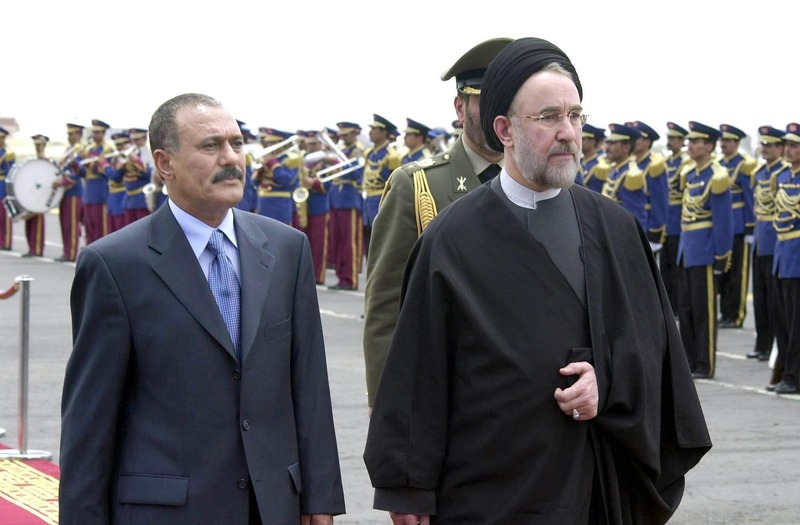 Strategic visits abroad by Iran’s senior defense officials provide another disturbing aspect: a visit to Moscow in April and most recently to Ankara by the former defense minister and chief of staff, respectively, to meet counterparts and other officials are such examples. Maybe most troubling of all is the way Iran is taking advantage of the Islamic State’s steady decline in Iraq and Syria, seeking to fill the resulting void. Iran-backed proxy militias are seen roaming large swaths of western Iraq and southern Syria leading to the Euphrates River, an important waterway that snakes from the country’s northwest to the southeast into Iraq. Establishing a land-bridge linking Tehran to the Mediterranean has been a long-sought objective for Tehran. It would provide a corridor, enabling Tehran to send arms and logistics to the Syrian regime and Lebanese Hezbollah, giving the regime unprecedented power and influence. In order to halt Iran’s aggressive agenda, U.S. leaders need to recognize that Iran’s Middle East meddling poses a top-tier threat, requiring urgent attention and action. Second, the United States and Arab World should craft a carefully calibrated road-map to correctly evict Iran back to its own borders. Tehran must realize its Middle East overreach is backfiring. The recent sanctions imposed by Congress, designating the Revolutionary Guard as a Specially Designated Global Terrorist group, is a long-delayed yet galvanizing start that deserves comprehensive implementation without any loopholes. As the defeat of ISIS is nearing, this will allow the international community to begin combating Iran’s proxies and influence in Iraq, Lebanon, Syria, and Yemen.